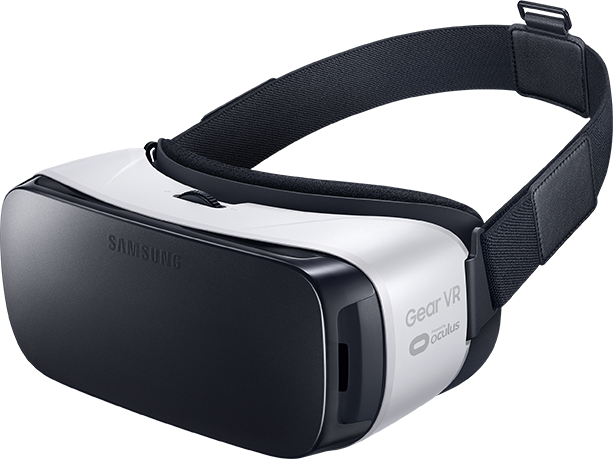 From the Forums — Which Galaxy S7 is best for the Gear VR? Each phone you put in the Gear VR is great, but if you want the best possible experience you should choose wisely. All Gear VR experiences are not created equal. Many of the newer, more capable apps don't run on the Galaxy Note 4. Using a Galaxy S6 means you get about 45 minutes of play time before you're scrambling for power. The Note 5 is the only current-generation Gear VR phone that doesn't give you overheat warnings when connected to power for more than a few minutes while playing a game. It's all the same Oculus-based system, but the details matter if you plan to be using that free Gear VR Samsung is offering for a limited time. This means you have a choice to make, as we discovered in our forums. Do you go with the Samsung Galaxy S7, or the Samsung Galaxy S7 edge? There are advantages and disadvantages for both, and we've got them outlined for you right here. Samsung built the Galaxy S7 and Galaxy S7 edge so they are nearly identical inside. In fact, the only differences between these two phones are display and battery capacity. As it turns out, those are two of the most important things to consider when using the Samsung Gear VR. Screen size in and of itself isn't as important as pixel density. Remember, the Gear VR takes your display and holds each half up to a parabolic lense. Denser pixels means you'll have a better image, which in turn means your visual experience will be better. If the visual experience is the most important thing to you, the Galaxy S7 will be the phone you want. While both phones have the same functional resolution, the pixel density on the S7 is greater than that of the S7 edge. You won't notice a difference in normal, day to day activities, but when held under that magnifying lens the difference will be clear. Battery capacity in this instance has two meanings. First, and most obviously, the larger Galaxy S7 edge will last longer in the Gear VR. Larger battery means more time for watching Netflix and blowing up spaceships, both of which are quite a bit of fun on the Gear VR. The second detail, which is less obvious, is heat management. Taxing the processor means a greater draw on the battery, which means more heat is generated in both places. Same goes for anyone charging their phone while playing, you're creating more heat. The larger surface of the Galaxy S7 edge will dissipate heat faster, which means fewer opportunities for overheating when playing your games. Choosing between these two phones for the Gear VR isn't easy, but it's all about what you expect to get out of the experience. If you want the best possible visuals, you want the Galaxy S7. If you plan to be spending a lot of time inside the Gear VR, the S7 edge is more likely to be the better overall experience. Either way, you'll have everything you need to thoroughly enjoy yourself in VR.